Following the crash of an aircraft supporting the ISAF mission in Southern Afghanistan, at which 14 British soldiers lost their life, the NATO Secretary General said: “It is with great sadness that I learned the news about this tragic loss of life." Iraqs new National Defence College, which NATO helped to establish, opened on 3 September, with the first students beginning courses on 4 September. Commenting on NATO operations and a number of incidents in Southern Afghanistan and Kabul in the last few days, resulting in several ISAF soldiers and Afghan nationals killed and multiple casualties, Secretary General, Jaap de Hoop Scheffer, said: “I am deeply saddened by the news of the latest deaths ISAF has suffered and the Afghan lives lost." The North Atlantic Council (NAC), headed by NATO Secretary General Jaap de Hoop Scheffer and accompanied by the Supreme Allied Commander Europe, General James Jones, and the Chairman of the Military Committee, General Ray Henault, has been visiting Afghanistan from 4 to 6 September. On 6 September 2006, in the presence of the North Atlantic Council, NATO Secretary General Jaap de Hoop Scheffer and President Hamid Karzai of Afghanistan signed the “Declaration by NATO and the Islamic Republic of Afghanistan”, setting out a Framework for Enduring Co-operation in Partnership. Nations agreed to a force generation conference on September 13 to address the existing capability shortfalls in the ISAF mission, and to a force generation conference for September 15 respecting capability shortfalls in the NATO Response Force. These meetings will take place at Supreme Headquarters Allied Powers Europe in Mons, Belgium. A tribute was paid on 11 September 2006 to all victims of terrorist attacks at a commemorative ceremony which took place at NATO Headquarters. The NATO Public Diplomacy Division and the Royal United Services Institute for Defence and Security Studies (RUSI) co-sponsored a conference on: “NATO, the Mediterranean and the Broader Middle East: The Future”, which took place in London on 11 September 2006. Some 1,000 personnel from NATO and Partner countries will practice conducting joint crisis response and humanitarian assistance operations during a exercise in Moldova, 11 to 29 September. On 12 September, a Letter of Intent was publicly released by 13 NATO Allies to launch contract negotiations for the purchase of C-17 transport aircraft. NATO Secretary General Jaap de Hoop Scheffer said the upcoming Alliance Summit in Riga will send a signal on enlargement, after meeting with the Prime Minister of the former Yugoslav Republic of Macedonia(1), Nikola Gruevski. On 13 September, Euro-Atlantic Partnership Council agreed on a Memorandum of Understanding, which aims at improving the speed and efficiency of assistance to victims of humanitarian crises or disasters. The first ever meeting of chiefs of transformation from NATO countries, held at Allied Command Transformation in Norfolk, Virginia, US, wrapped up on 13 September 2006. The Secretary General of NATO, Jaap de Hoop Scheffer, today welcomed the Polish offer to increase its troop levels in Afghanistan in the coming months. Visiting NATO HQ on 14 September, the new Prime Minister of Ukraine, Viktor Yanukovych, said there was no alternative today for the strategy that Ukraine has chosen in its relations with NATO. The one millionth landmine was destroyed today as part of an ongoing NATO Trust Fund project in Serbia . The ceremony to mark this important event was organized at the Technical Repair Bureau in Kragujevac. Around 100 Australian soldiers have arrived in Uruzgan Province in southern Afghanistan as part of Australia's contribution to the NATO-led International Security Assistance Force (ISAF). The first training courses for Afghan law enforcement officers, under a pilot project launched by the NATO-Russia Council (NRC), are scheduled to begin on 15 and 25 September at training centres in Turkey and Russia. On 16 September, the sixth annual NATO Day in Ostrava demonstrated to the general public the means the Czech Republic and its NATO Allies have at their disposal in providing security and stability in the Euro-Atlantic area and beyond. The all-day programme offered exhibitions of military hardware, police and rescue technology, special units training, air displays and the chance to see up close the different kinds of equipment used by units. The organizers try to offer something special every year. 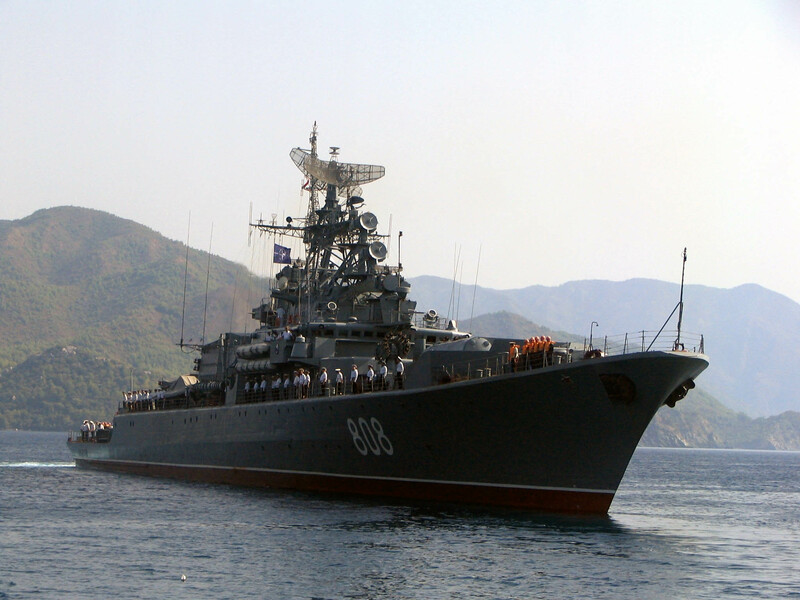 The Russian Federation ship Pitliviy flew the NATO flag as it joined the NATO naval force that monitors shipping and possible threats in the Mediterranean as part of the Alliance’s Operation Active Endeavour. I would like to express my great sorrow at the death of four of our Canadian-ISAF soldiers today. I send my most sincere condolences to the families of the victims. The NATO School in Oberammergau, Germany, has conducted the first pre-deployment course for personnel going to Afghanistan to serve in Provincial Reconstruction Teams,18 - 22 September. A key decision has been taken for NATO’s Active Layered Theatre Ballistic Missile Defence (ALTBMD) Programme. Marking a major milestone in Alliance efforts to field a “layered” theatre missile defence system providing protection for deployed NATO forces, a selection of an international consortium to build an Integration Test Bed puts NATO on track to have an initial operational capability by 2010. NATO’s Public Diplomacy Division will host its first NATO-Afghan Student Forum from 21 to 23 September 2006 at NATO Headquarters in Brussels. At the meeting of NATO Foreign Ministers in New York, on 21 September, the NATO Secretary General announced the decision to offer an Intensified Dialogue to Georgia. A NATO-Afghan Student Forum, held at NATO HQ, 21-23 September, helped to bridge the gap between Afghanistan and NATO countries by giving students a chance to hear from each about the situation on the ground. From 25 to 29 September, students representing all 26 NATO countries are meeting in Portoro, Slovenia, to debate key issues on the Alliances agenda. Visiting NATO HQ on 25 September, Australian Foreign Minister Alexander Downer said he looked forward to practical ways of building cooperation with NATO. On 28 September, the North Atlantic Council gave final authorisation for the NATO-led International Security Assistance Force (NATO-ISAF) to expand its area of operations to 14 additional provinces in the east of Afghanistan, boosting NATO’s presence and role in the country. Students at a Model NATO simulation seminar focused their discussion on NATO's mission in Afghanistan and reached consensus on committing additional troops to support the operation. On the second day of meetings in Portorož, Slovenia, NATO Defence Ministers addressed the key issues on their transformation agenda. Forty seven students from Iraqs security forces were at the NATO School from 18 to 29 September 2006 as part of NATOs training assistance to Iraq.